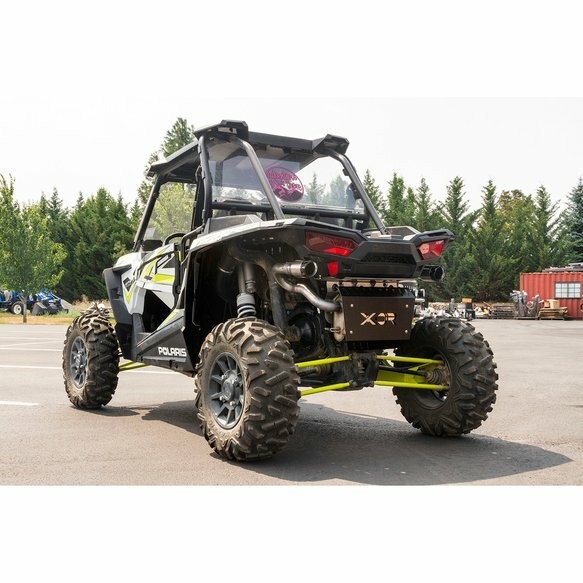 Fits 18-19 Polaris RZR XP 1000 and XP 4 1000. Includes EPS models. Competition Use Only. 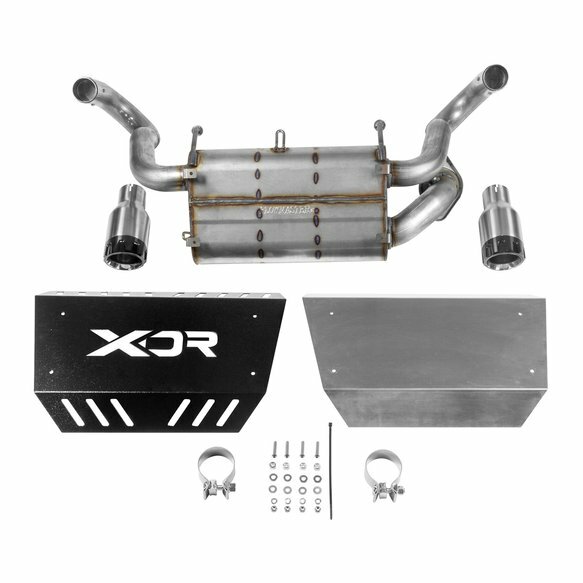 Not Emissions Compliant. 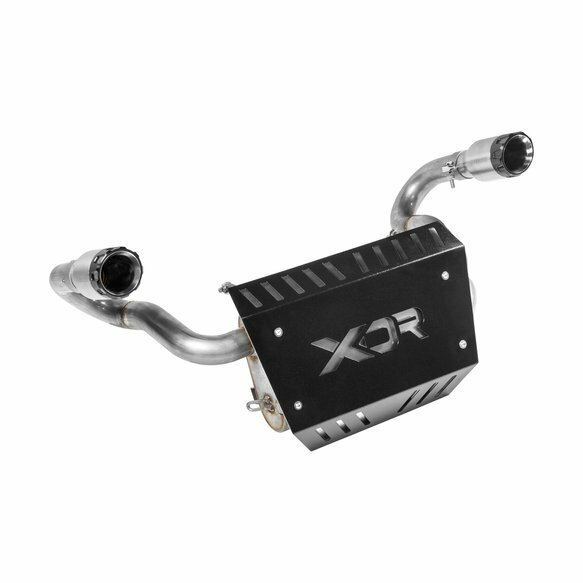 This new bolt-on XDR Competition exhaust system is for the 2018-19 Polaris RZR XP 1000 and XP 4 1000, including EPS models. The system connects at the factory flanged connection and is firmly held in place using the factory rubber mounts and springs. 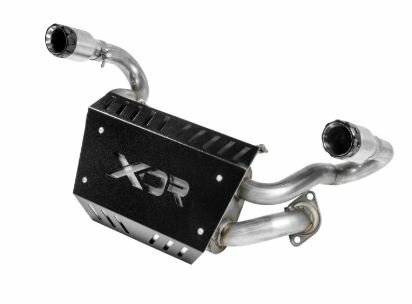 Features include 409S stainless steel construction with a 2.50-inch mandrel-bent inlet tube flowing into the XDR cross-flow performance muffler with dual 2.25-inch mandrel-bent tailpipes tucked up high within the rear fenders providing a moderate to aggressive deep sound level. 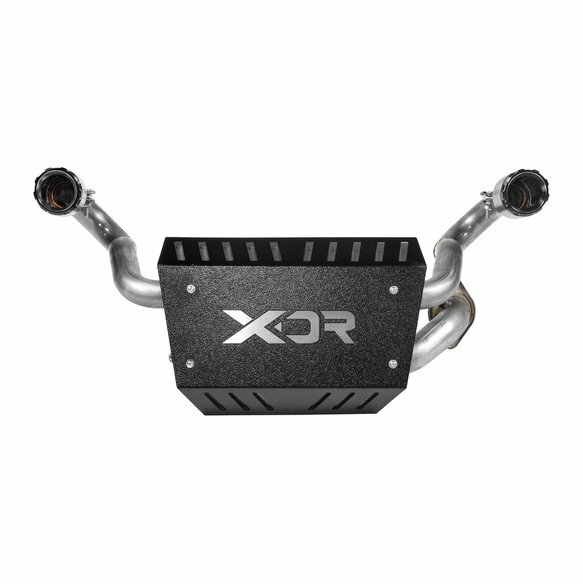 The tailpipes contain USFS qualified spark arrestors and are finished off with a pair of 3.50-inch dual wall brushed 304s stainless steel tips with black anodized aluminum ends. 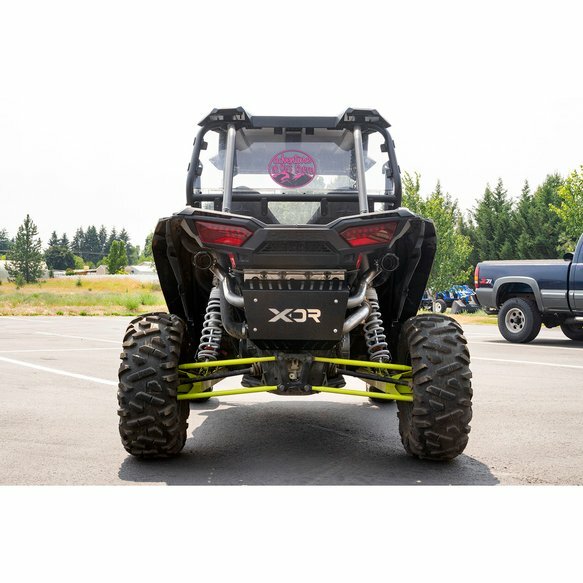 The factory exhaust cut-out is replaced with a custom black powder coated heat shield with the XDR logo laser cut in the shield showing everyone behind you, why your RZR sounds so good. Includes all hardware and installation instructions necessary for a simple at home installation. 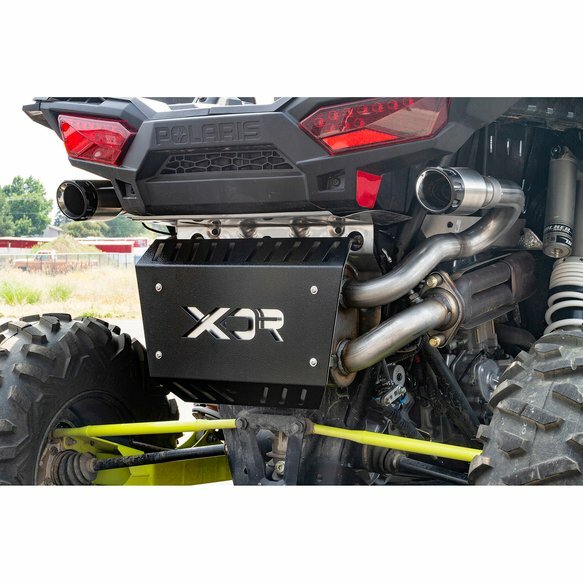 For off-highway competition use only. Not available for sale or use in California.